High quality Ufixt compatible part for Creda. 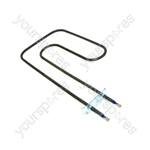 Choose a manufacturer to reveal the models that the part Creda Replacement Fan Oven Cooker Heating Element (2500w) (2 turns) is suitable for. 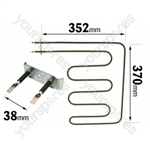 Search our range of Creda Replacement Fan Oven Cooker Heating Element (2500w) (2 turns) QUAELE006 by Ufixt models by entering your model number to perform a search. 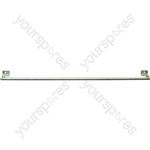 Write your own review of Creda Replacement Fan Oven Cooker Heating Element (2500w) (2 turns). 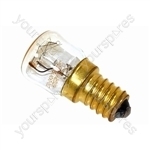 Why is this element $6.78, but another one on this website is $59.89? Is this a genuine part? I have a Hotpoint BU72P and the fan element has gone. 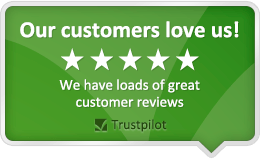 You have two versions on your website 2000 and 25000 which one do i need please? If you could send over your product number i can check this for you as there are about 4 variations of your model. I have a hotpoint ew81 halogen double oven, will this fit!? any help would be fantastic! 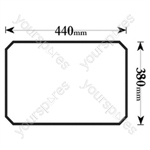 does this fit Hotpoint BS22? 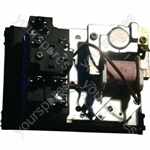 Could you please send over the product number of your appliance as there are a few variations of this model.